SHOTSMAG CONFIDENTIAL: Books to Look Forward to from Head of Zeus! Alli Carson was once First Daughter, only child of the US President. Then, after a car crash killed her father and hospitalised her mother. Alli battled her grief and threw herself into her FBI training at the elite Fearington Institute. Alli thought she had nothing more to lose...but she was wrong. On the same night that her mother dies from her injuries, Alli's boyfriend is brutally murdered - and she is the only suspect. Suspended from her work, bewildered and alone, Alli must find a way to contact the one person she can trust: National Security Adviser, Jack McClure. Jack knows that Alli is innocent. So who would want to frame her for murder? With Fearington in lockdown, they must navigate a treacherous underworld of violence and intrigue to uncover the truth... 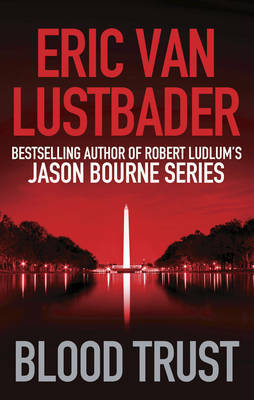 Blood Trust is the third book in the Jack McClure series by Eric Van Lustbader and is due to be published in July 2013. Kiyomi Ishida was just twenty years old when she left Japan for a better life in London. Now nicknamed Seven, she’s had to work her way up to gain access to The Underground, an exclusive club that fuels the night time urges of the gang lords, traffickers, and madams that stalk the streets of south London. Resourceful and ruthless, Seven will do anything to fund her future; preferably a future far away from here. But as she becomes associated with a mercenary Russian gang, Seven must decide. How many people will she betray to further her own ends? Girl Seven is the second book in the London Underground series by Hanna Jameson and is due to be published in December 2013. It was Danielle and Gracie's secret. A teenage adventure. A 1000 mile drive along the spine of the Rocky Mountains to visit Danielle's boyfriend in Montana. Their parents were never to know. But now the girls have simply vanished. The only person who knows they're missing is Danielle's boyfriend. He persuades his father, an ex-cop, to search for them. But he too simply disappears. Its up to his new partner, war widow and single mother Cassie Dewell to find them. Her investigation will introduce her to the FBI's Highway Serial Killer Task Force, force her to confront a spate of roadside sexual mutilations and murders and lead her into the lair of a predator who styles himself The Lizard King. 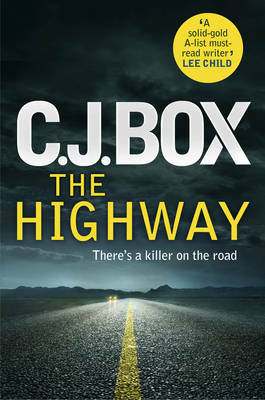 The Highway is by C J Box and is due to be published in August 2013. 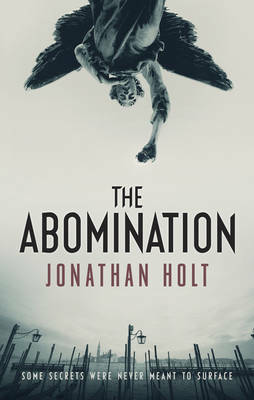 The Abomination is the first book in the trilogy by Jonathan Hole and is due to be published in October 2013. THE VICTIM: On the steps of Santa Maria della Salute lies the body of a woman, wearing the robes of a Catholic priest. In the eyes of the Church, she is an abomination. THE INVESTIGATOR: Captain Kat Tapo has matched the victim's tattoo to graffiti in an abandoned asylum. Now she's been ordered to close the case. THE HACKER: Carnivia.com is a virtual Venice that holds the city's secrets. Only its reclusive creator can help Kat unearth the shocking truth...THE ABOMINATION has arrived. 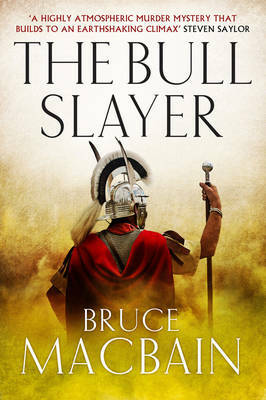 The Bull Slayer is the second book in the series featuring Pliny the Younger by BruceMacbain and is due to be published in July 2013. THE ROMAN EMPIRE, 109 AD the frontier province of Bithynia is a cesspit of sedition, rotten with corruption and seething with hatred of Rome. When a rich Roman official is found dead on a desolate hillside; two riderless horses tethered in a nearby wood, it is assumed he was killed as a protest against Emperor Trajan's unlimited power. But Pliny the Younger, newly appointed Governor of Bithynia, is not so sure. Who was the other rider? What were the two of them doing in the middle of nowhere? And what links this murder to a secret cult of the Persian sun god, Mithras - the Bull Slayer? But as Pliny pursues one baffling lead after another, he is being betrayed where he least expects it: his beautiful wife, neglected and lonely in an alien city, falls desperately in love with a handsome young provincial – an affair which threatens to ruin Pliny’s career. When a movie producer hurtles to his death from the top of the Golden Gate Bridge, an apparent suicide, it shocks the film community and puts a two hundred million dollar production in jeopardy. A female colleague comes forward claiming it was murder, but the police are sceptical. 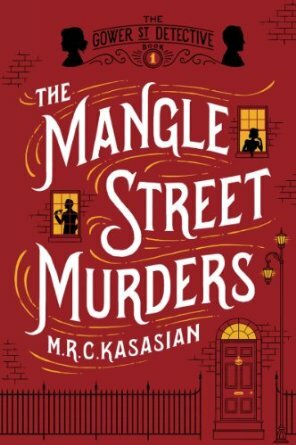 Preoccupied by a sudden drug war between the tong gangs of Chinatown and the mob, they listen to her story and send her packing. She turns to private detective Cape Weathers, who believes her just enough to let her pay his day rate. Then two Russian gangsters show up on his doorstep and tell him to drop the case or die. Cape and his partner Sally - a female assassin raised by the Triads - take on the Russian mob, a major movie studio, and a recalcitrant police department by enlisting the help of rogue cops, computer hackers, and an investigative journalist who just doesn't give a damn. But with a sniper on their trail, the challenge will be staying alive long enough to learn the truth. 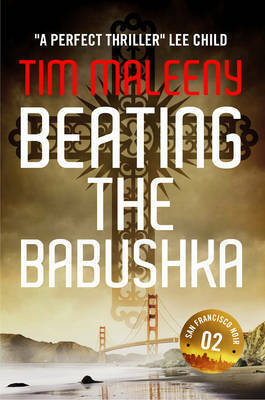 Beating the Babushka is the second book in the San Francisco Noir series by Tim Maleeny and is due to be published in October 2013. An American spy in China. Name: Unknown. Status: Sleeper. He's meant to be laying low, polishing his Mandarin and awaiting further instructions from Washington. But Shanghai is a difficult city to sleep in, especially when his nights are taken over by the seductive but enigmatic Mei - a woman with secrets he'd rather not hear. Then he is tasked with a delicate operation. Infiltrate the core of the Chinese intelligence service. Distinguish friend from foe. Report to a single contact at HQ. Trust no one. Tell no one. Pushed out into the cold, in a city of millions he's suddenly very, very alone. But in Shanghai city you're never truly alone. Faceless strangers linger in the shadows, watching your every move. No one is safe from the Guoanbu. Not even a spy with no name. The Shanghai Factor is by Charles McCarry and is due to be published in July 2013. A car tumbles through darkness down a snowy ravine. A woman without a name walks out of a dust storm in Africa. And in the seething heat of Lagos City, a criminal cartel scours the Internet, looking for victims. Lives intersect. Worlds collide. And it all begins with a single email: 'Dear Sir, I am the daughter of a Nigerian diplomat, and I need your help...' At once a chilling thriller about a lonely woman avenging her father's death and an epic portrait of morality and corruption across the globe, Will Ferguson's Giller Prize-winning novel plunges into the labyrinth of lies that is '419', the world's most insidious Internet scam. 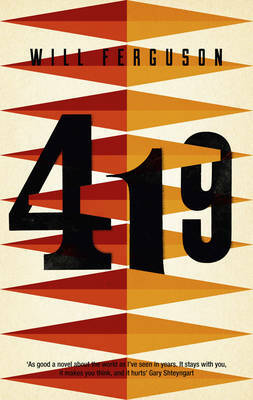 419 is due to be published in September 2013. 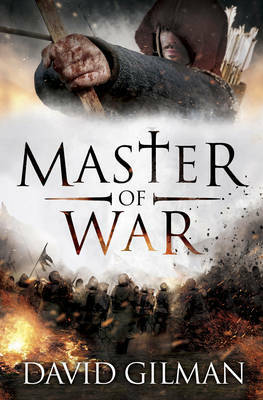 Master of War is by David Gilman and is due to be published in August 2013. England, 1346: For Thomas Blackstone the choice is easy - dance on the end of a rope for a murder he did not commit, or take up his war bow and join the king's invasion of France. As he fights his way across northern France, Blackstone will learn the brutal lessons of war - from the terror and confusion of his first taste of combat, to the savage realities of siege warfare. Vastly outnumbered, Edward III's army will finally confront the armoured might of the French nobility on the field of Crecy. It is a battle that will change the history of warfare, a battle that will change the course of Blackstone's life, a battle that is just the first chapter in a book of legend - Blackstone: Master of War. body of a Catholic priest, and he's been bound, garrotted...and castrated. Horrific stories about child abuse in the Church are only just coming to light in Ireland. So this must be a revenge killing by someone who couldn't face the courts. Detective Katie Maguire, of the Irish Gardaí, is not so sure. Two more castrated priests have been found violently murdered, and now her investigation is being obstructed at every turn. Katie's home life is in turmoil, and she knows she must soon choose between her boyfriend and her job. But when she unearths a sinister cover-up that will shake the very foundations of mystical Catholic belief, that choice becomes a matter of life or death. 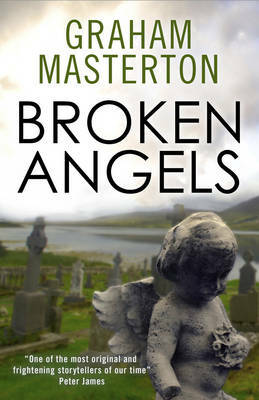 Broken Angels is the second book in the Kate Maguire series by Graham Masterton and is due to be published in September 2013. 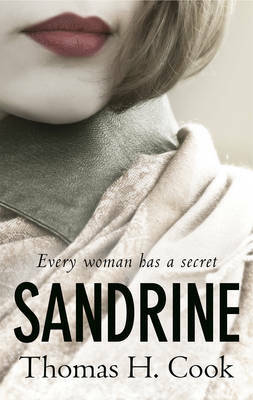 Sandrine is by Thomas H Cook and is due to be published in August 2013. How did Sandrine die? There was no forced entry. She had been gradually stockpiling prescription drugs. A lethal quantity of Demerol was found in her blood. But did the beautiful, luminous Sandrine Madison really take her own life? The District Attorney doesn't think so. Neither does the local newspaper. And so Sandrine's husband must now face a town convinced of his guilt and a daughter whose faith in her father has been shaken to its core. But, as he stands in the dock, Samuel Madison must confront yet more searing questions: Who was Sandrine? Why did she die? And why - how? - is she making him fall in love with her all over again? A psychological thriller from a true master, Sandrine will hold you in its spell until its unexpected end. 1954: Comandante Guzman has been posted deep into the Basque country to confront a man known only as 'El Lobo'. High in the mountains, Guzman will have to fight for his life, not only against El Lobo, but also against someone who has been searching for him for a very long time...2010, Madrid: Forensic Investigator Ana Maria Galindez has spent seven months in hospital recovering from the blast that nearly killed her. Her obsession with Guzman's fate has disturbed long dormant forces. Now she shall reap the consequences: she will be purposely humiliated, abandoned by colleagues and friends, accused of murder...and worse. The Exile is by Mark Oldfield and is due to be published in October 2013. The Killing Machine is by Phillip Hunter and is due to be published in November 2013. Massive, glowering, and ugly as sin, former soldier and ex-boxer Joe has always invited violence. But now Hackney’s most vicious gangs all want to kill him. As he tries to unravel the knot of events that have made him a target, Joe is drawn back into his past, back to the memory of the only woman he ever loved. Brenda was a prostitute who dreamed of something better. Now she’s dead, and her murder, unsolved haunts Joe every night. Then a twelve year old runaway enters his life. Kid is traumatised, mute, and sees Joe as her saviour. Life has made Joe a machine. Can Kid – as Brenda once did – make him again? Cat DeLuca's short, stormy marriage was a crash course in infidelity - his, not hers. But two years of unholy matrimony taught her everything she needed to know to launch the Pants On Fire Detective Agency. Now armed with spy glasses, camera, chocolate and a beagle named Inga, Cat specializes in avenging-all-cheated-upon-women. Sticks and Stones: Cleo Jones' husband stole her money, took her dog and slept with her sister - so she can't feel too guilty about shooting him full of buckshot. But she didn't kill him - despite swearing that she would. So when his corpse is found with a large calibre bullet hole in his chest, guess who's the number one suspect? Shame no one but Cat believes Cleo is innocent. So who did pull the trigger? Turns out there is no shortage of suspects. 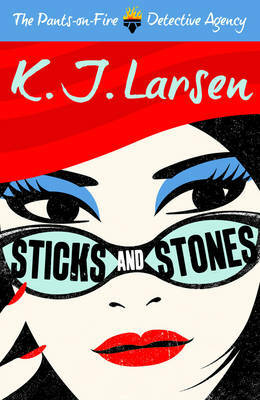 Sticks and Stones is the second book in the Pants on Fire Detective Agency series by KJ Larsen and is due to be published in September 2013. The Dangerous Edge of Things is the first book in the series featuring Tai Randolph by Tina Whittle and is due to be published in August 2013. Tai Randolph has just moved to Atlanta. She thought inheriting a Confederate-themed gun shop was her biggest headache - until she finds a young but dead woman in her brother's driveway. With her brother missing and her firearms connection, the siblings are the Atlanta Police Department's number one suspects. Tai is determined to clear their name. But it doesn't look good. Where's her brother? What's his connection with the dead woman? Why is she being tailed by a private security company? Why will no one tell her the truth? Tai is lead from tasteful suburbia to the cold-eyed glamour of Atlanta's adult entertainment scene to the gilded treachery of the city's most exclusive enclaves. The closer she gets to the truth, the less likely she is to survive. To live long enough to clear her name, she's going to have to trust the most dangerous man she's ever met.